Gianluigi Buffon: to the UK, USA or France? Gianluigi Buffon is reported to be heading to the Premier League next season, after he revealed he would be leaving Juventus this summer. The 40-year-old is still an incredible goalkeeper — and has been offered a two-year deal at PSG — but is he too old to make an impact in England? We asked our correspondents for the three clubs who have been mainly linked with him: Would you take Buffon? Manchester City’s first-choice goalkeeper would seem pretty clear after the club rewarded Ederson with a seven-year contract this week after his impressive first season. The position of back-up though is less clear. Uncertainty remains over the future of Claudio Bravo, who now seems a long way from pushing Ederson for the No. 1 spot. Bravo arrived as the first-choice but has now been restricted to domestic cup appearances and may consider it best to move on after two difficult years in England. Whether Buffon would be open to a move to the Etihad Stadium as a second-choice would be another matter. Certainly he would have a lot to offer to a dressing room in terms of experience, particularly after the departure of the much-loved Yaya Toure at the end of the season. Pep Guardiola has a young squad and often talks about their lack of experience in Europe, which was City’s only real disappointment this season. 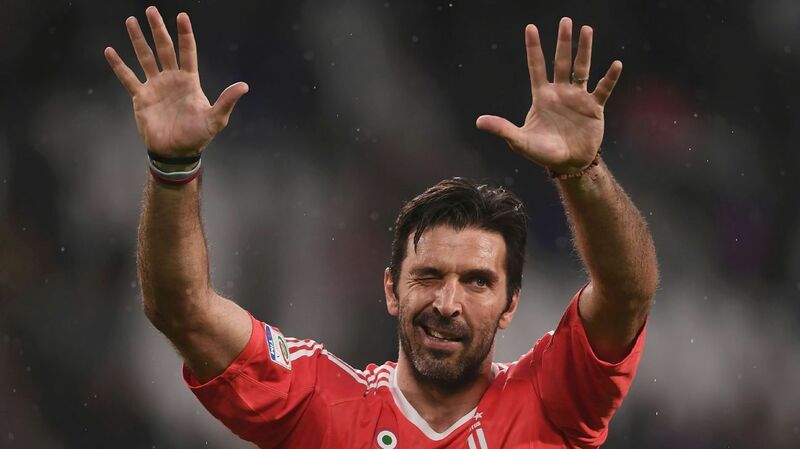 While Buffon has never won the Champions League, he has vast knowhow of the tournament having made 115 appearances in it, including three final appearances. Buffon could be enticed by the chance to work with Guardiola: the Italian could potentially move into management soon and the opportunity to learn from arguably the best coach in world football and a change of culture after 23 years in Italy would be a huge benefit. But while there are potential advantages for both sides, a move to City would seem unlikely. — Jonathan Smith. It’s likely that Liverpool will be on the hunt for a goalkeeper this summer. Simon Mignolet is widely expected to depart Anfield, having once again lost the No. 1 jersey to Loris Karius. There must be some temptation for every team, including Liverpool, to snap Buffon up. In addition to his vast experience and win-or-nothing mentality, it didn’t appear that Father Time had caught up with the 40-year-old too much in the past few seasons. Karius might have done enough since taking command of the starting spot in January to have convinced Jurgen Klopp that there is no need to go into the transfer market this summer to spend big, big money on Jan Oblak or Roma’s Alisson. However, the German shot-stopper would still need a more-than capable option behind him, and Buffon could be that keeper. But would the Italian want to end his career as a backup, while playing the odd game here and there? Probably not. On paper, Liverpool signing Buffon sounds like a nice, heartwarming story. But in theory, it’s not practical. Buffon will have plenty more appealing offers — both on and off the pitch. — Glenn Price. If this proves the summer that Real Madrid finally consummate their interest in Thibaut Courtois, Chelsea will be forced into the transfer market for a new established first-choice goalkeeper for the first time since 2004. Given that Gianluigi Buffon was 26 years old back then, he clearly doesn’t represent a long-term fix for any team now. He is, however, a free agent in a summer window where Chelsea have many areas to improve and financial resources that have shrunk due to missing out on Champions League qualification. This is also a dressing room that, as Antonio Conte has repeatedly stated, has been short on leadership since the departure of John Terry last summer. Buffon, an all-time great and born champion, would immediately command universal respect at Stamford Bridge and transcend all cliques in the squad. Too bad, then, that it almost certainly won’t happen. Buffon’s close relationship with Conte cannot work in Chelsea’s favour if — as expected — they decide to replace their head coach this summer and, after a year of public and private tensions over transfer policy, it is highly unlikely that Buffon would be given a glowing appraisal of the Blues by his countryman in any case.